Meanwhile, in a bowl, add turkey and season with salt and pepper. Add breadcrumbs, green onions, parsley, thyme and egg and mix well. Shape the meat into four large oval patties. In a large skillet, heat oil over medium-high heat. Add patties and cook, turning once, until browned and cooked through, about 15 minutes. Mash the sweet potatoes with remaining tablespoon of brown sugar; season with salt and pepper. 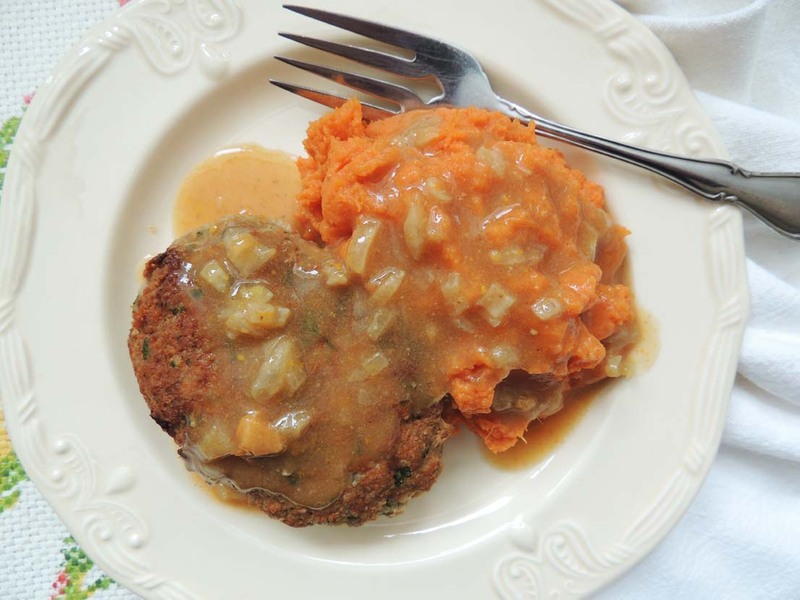 Serve with the turkey patties and the gravy on top.